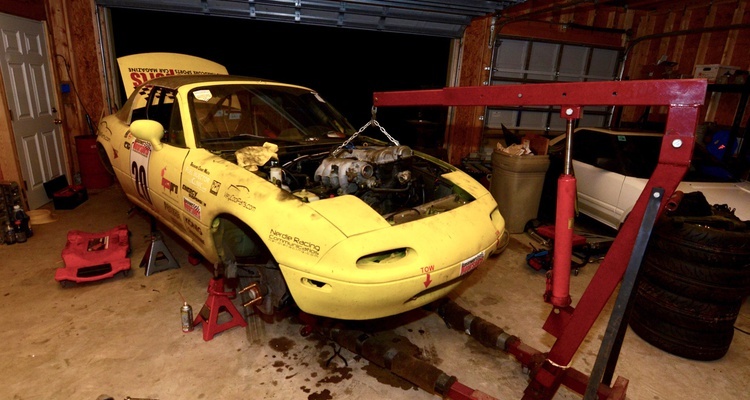 We love budget endurance racing. We also love Mazda Miatas. 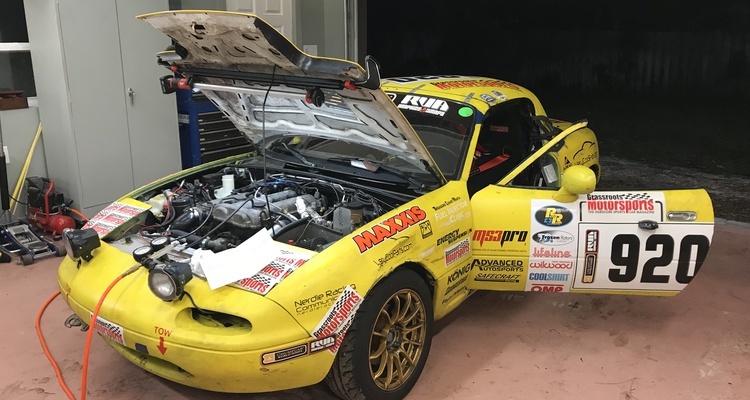 After our last project Miata's untimely demise, we vowed to rebuild it better, stronger, and (most importantly) faster. Can we do it? 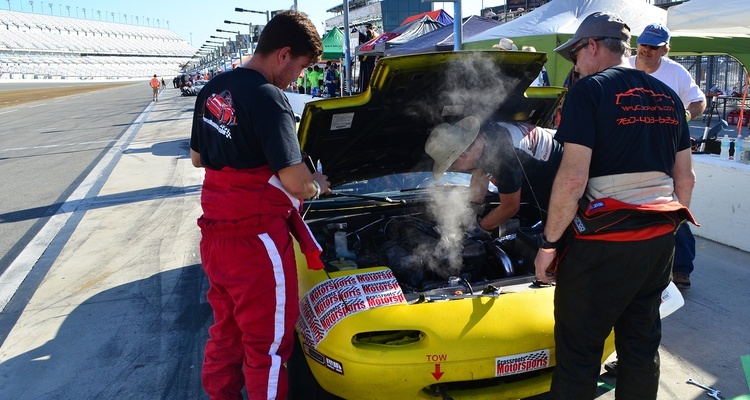 Project Turbo Miata: We Survived ChampCar Daytona! 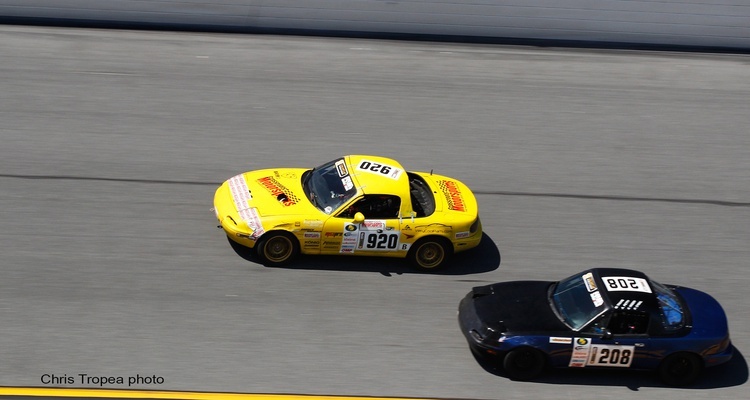 We finish second in class at ChampCar's Daytona event. 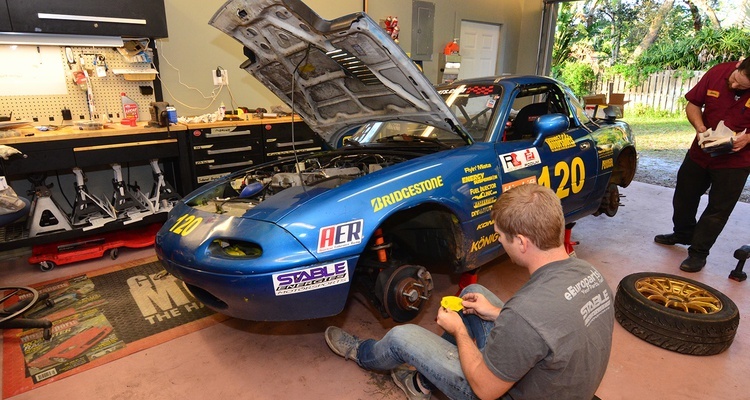 We're entering ChampCar's 14-hour enduro this weekend. Come on out to the track! 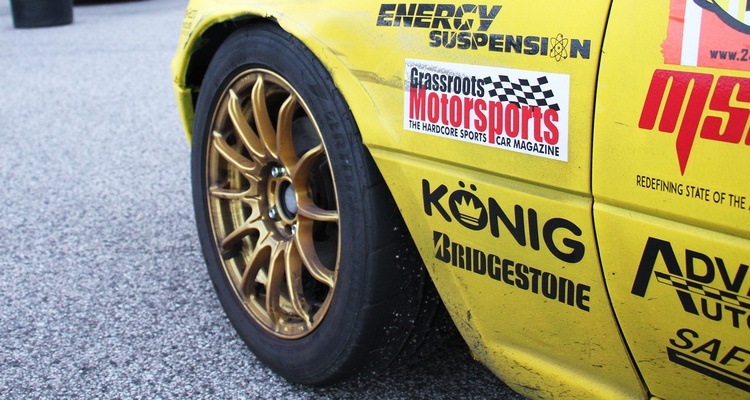 Every race takes its toll on a car, and ours is no exception. 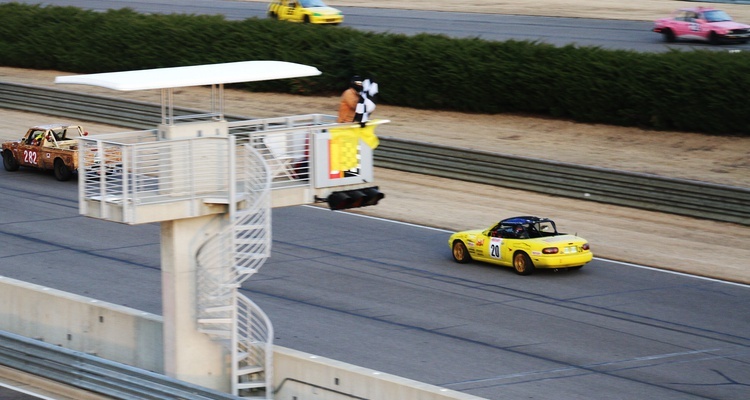 Going into our very first American Endurance Racing event at Road Atlanta, we didn’t have high hopes, but we left pleased. 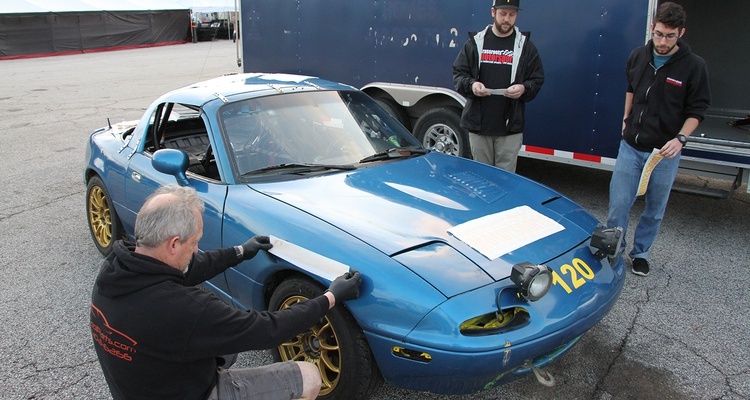 We add stickers to our now-pretty Miata. 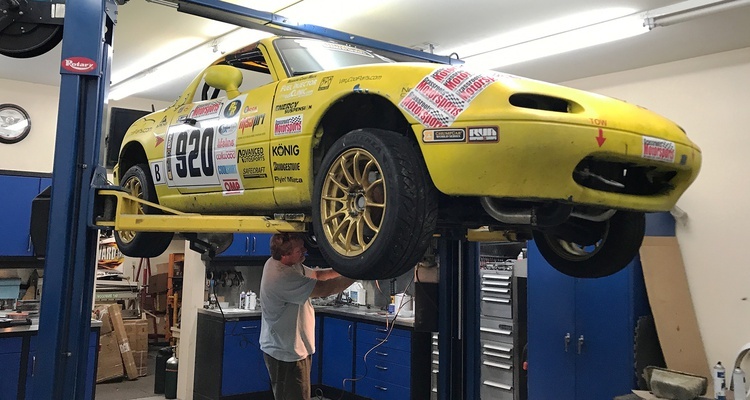 Project Turbo Miata: We're Going Racing! 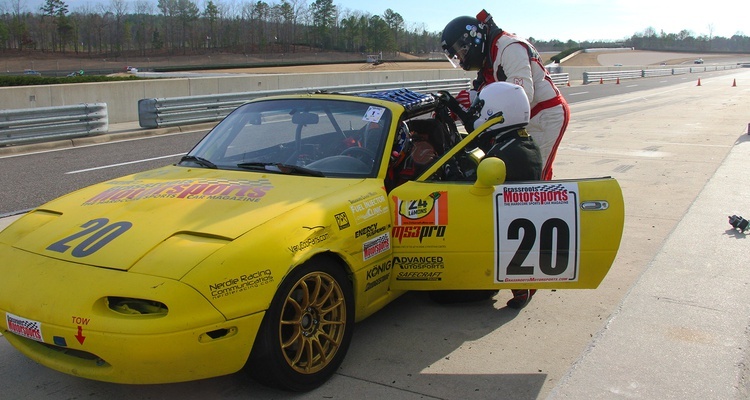 We're entered in an American Endurance Racing event at Road Atlanta this weekend. We corner-weight our car the hard way. 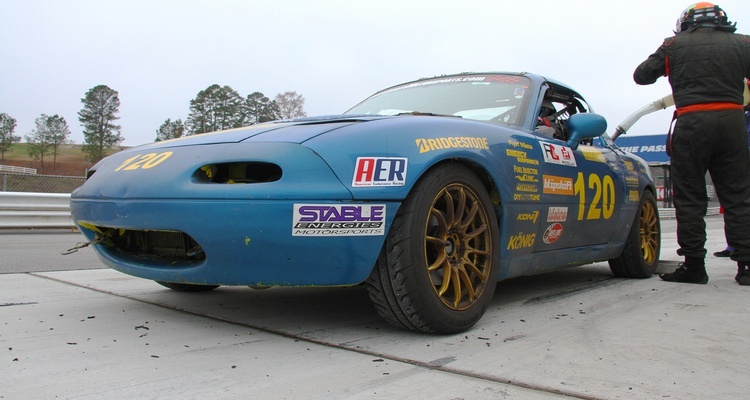 We hit the track to see if our freshly-rebuilt Miata will explode again. 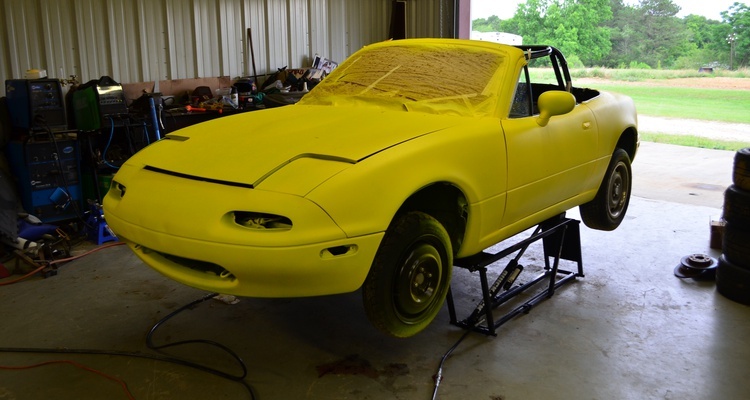 We strip the Elastiwrap off our Miata and go back to basics. 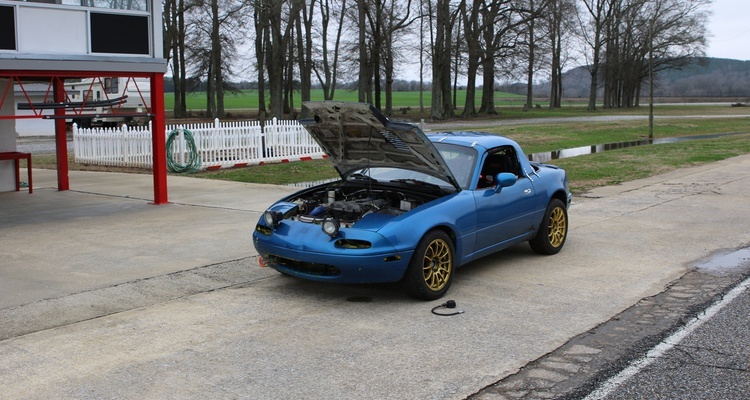 We put yet another engine into our turbo Miata. 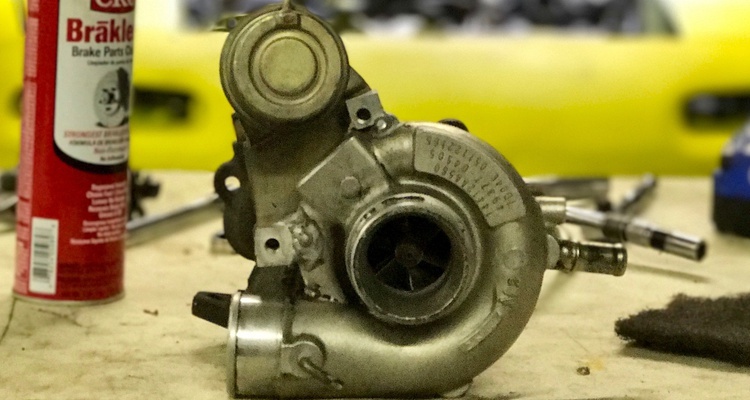 Project Turbo Miata: What Did We Break This Time? We do a compression and leak-down test. 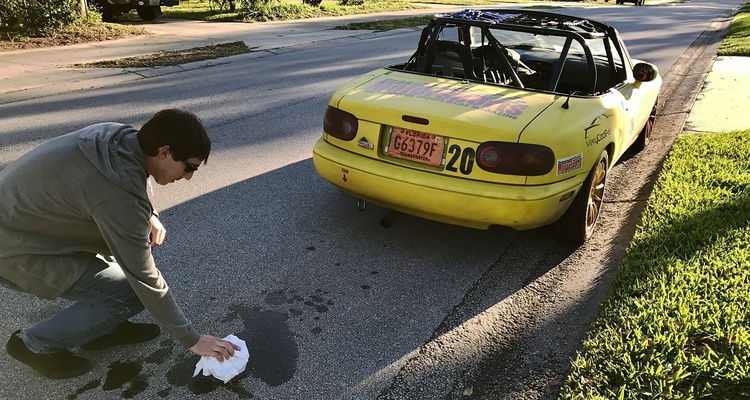 We had three simple goals: Finish the race, have fun, and don’t blow up the car. 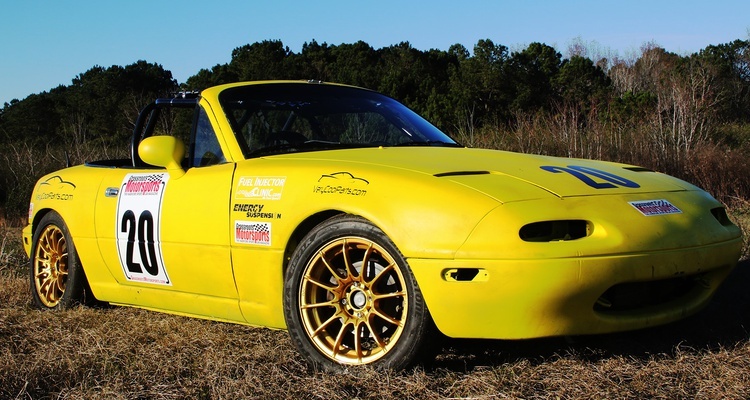 Think you’ve got what it takes to best our often broken but never forgotten turbocharged Mazda Miata? Why are our rear wheels locked? 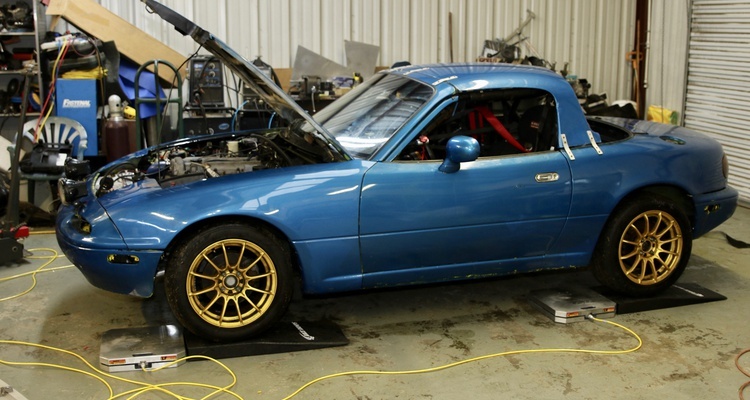 Our low-buck racer project hits the test track with its new engine. 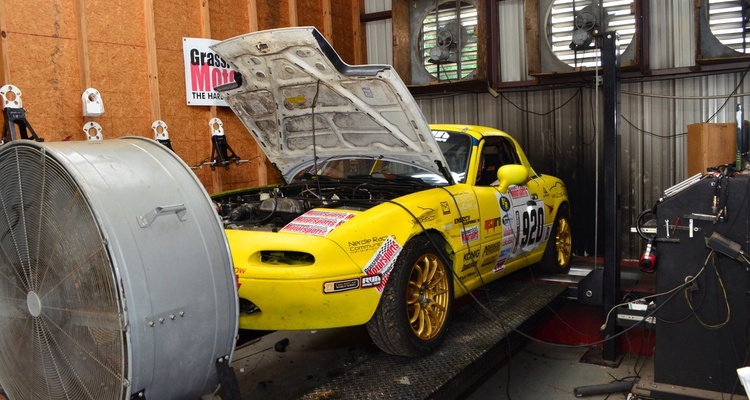 After getting a new engine, our turbo Miata project rolled onto the dyno. 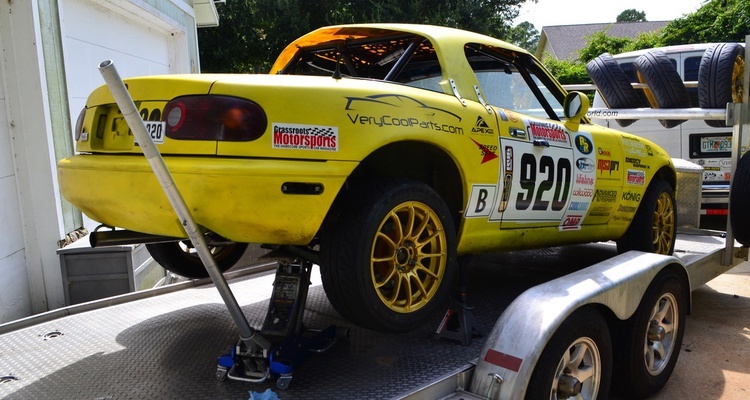 Our turbocharged Mazda Miata racer gets a new heart. 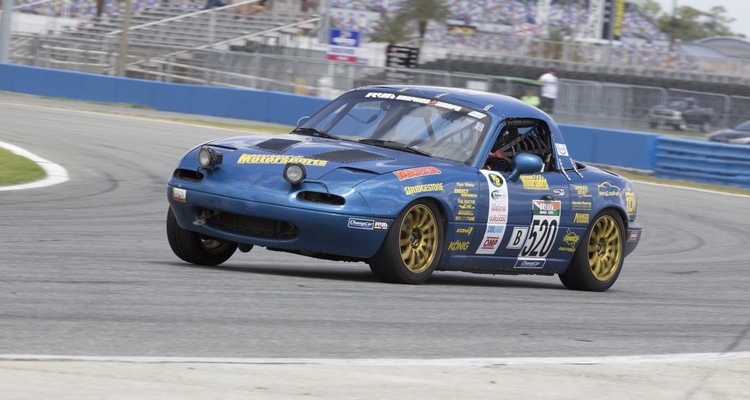 Our Mazda racer heads to Treasure Coast Miata for a new heart. Our race at Daytona doesn't exactly go as planned. 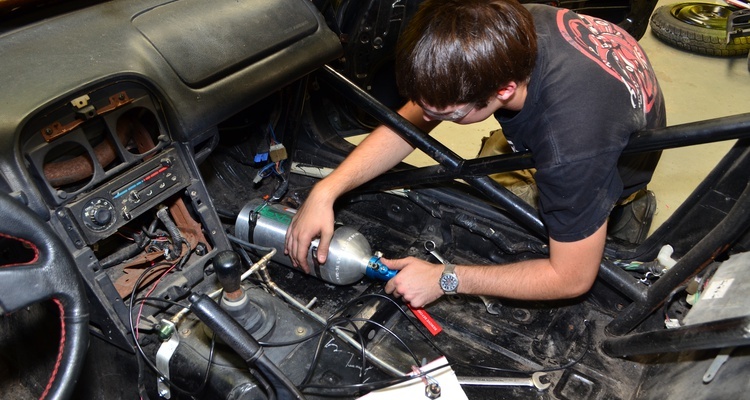 We transfer the fire system to our new Miata. 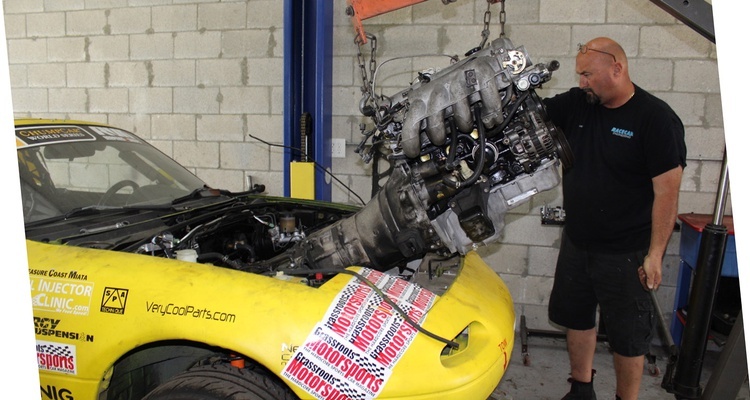 We swap a fresher engine into our Miata. Engine swap and suspension revamp before our race in two weeks? Challenge accepted. 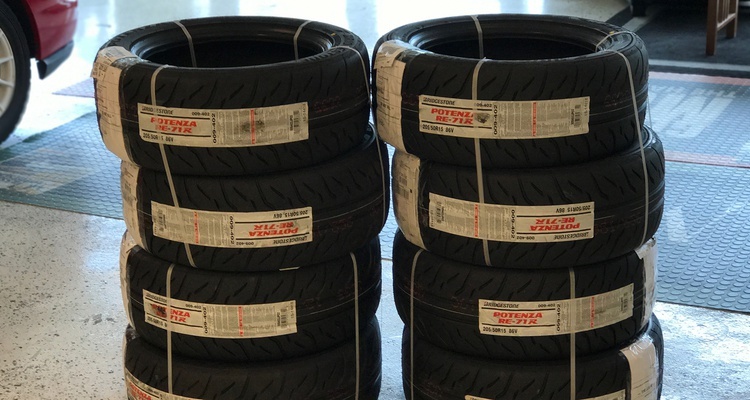 We just got a nice fresh set of track tires just in time to race at Daytona. 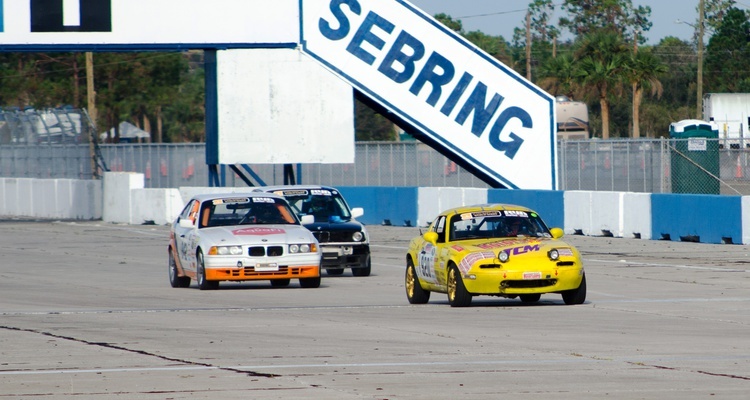 Come Race With Us at Daytona! 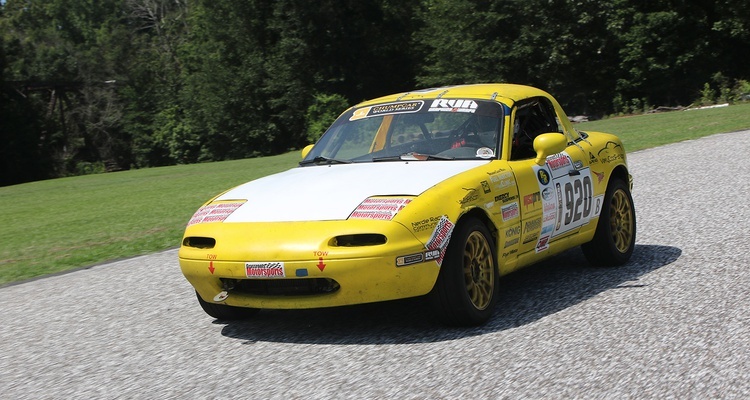 We have our Miata entered in ChumpCar’s RVA Graphics 14 Hours of Daytona on April 1. What do we run on our crapcan racer? 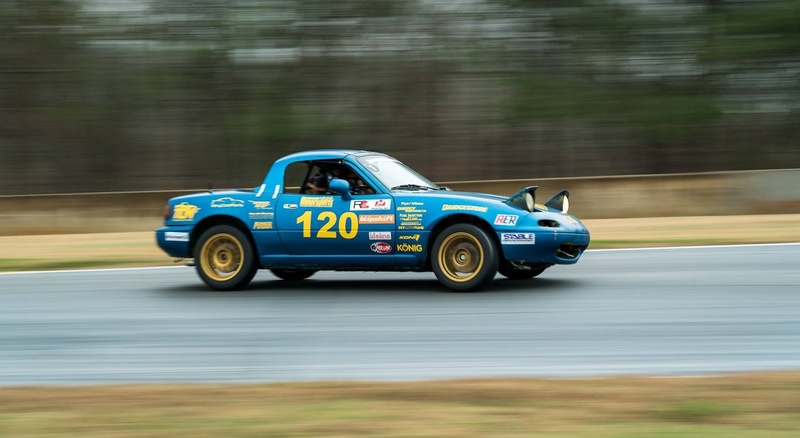 We spent two days racing at Barber Motorsports Park in our crapcan turbo Miata. 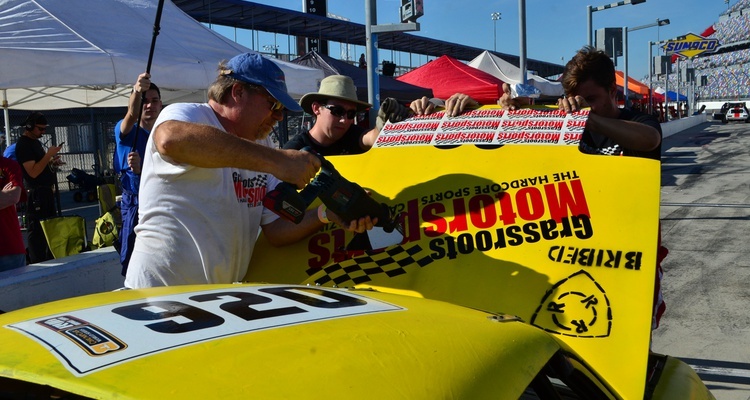 We lay down some stickers to look like a real race car. 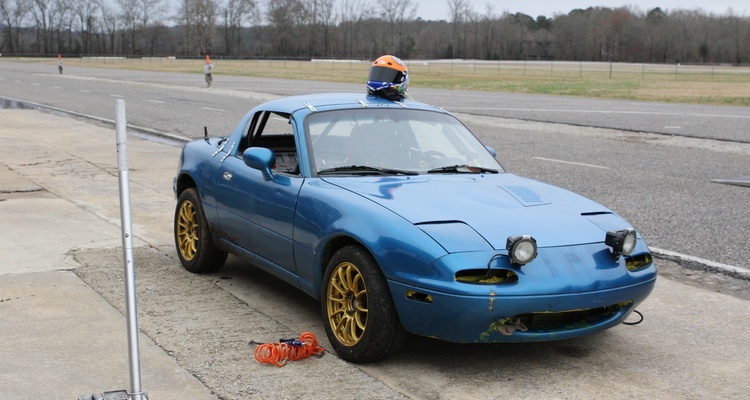 We add a junkyard turbo to our crapcan Miata. 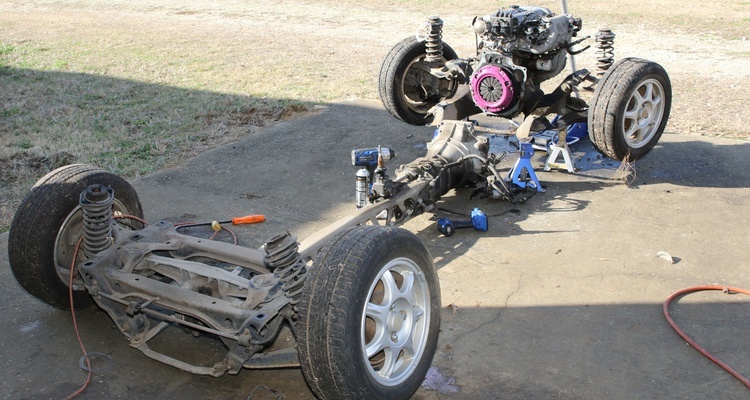 We port our race car to a new chassis.